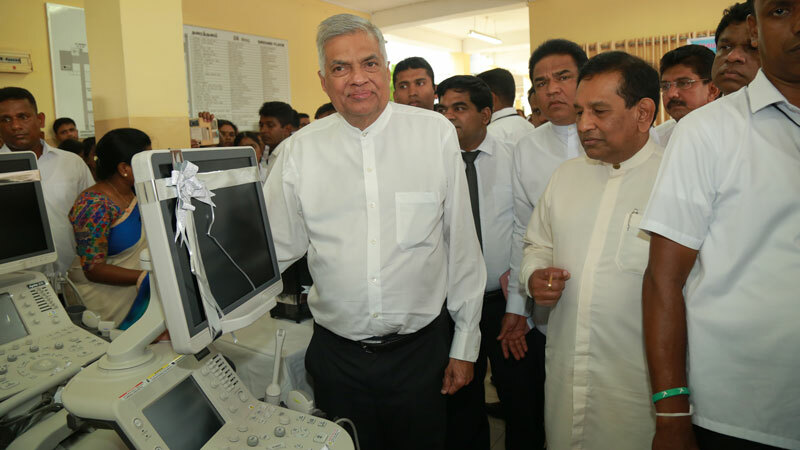 The second phase of the project in Kilinochchi Hospital was inaugurated by Prime Minister Ranil Wickremesinghe. The new building, wards and operating theaters, medical facilities were included in the second phase of the project. The Health,Nutrition and Indigenous Medicine Minister Dr. Rajitha Senaratne, Urban planning,water supply and Higher Education Minister Rauff Hakeem,Interior Affairs and Local Government Minister Abeywardena,Agriculture,rural economy and Livestock Development,Irrigation and Fisheries and Aquatic Resources Minister P. Harrison,Industry and Commerce,the resettlement of displaced persons and the long-term Co-operative Development Minister Rishad,Minister of Education and the Minister of State Vijayakala Maheswaran and TNA MA Sivagnanam Sridharan and MPs were also present.